See also: Category:Christian fiction and allegory. 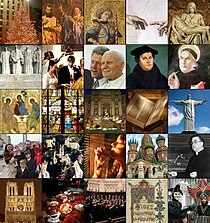 Christianity & Literature is a peer-reviewed literary periodical, published quarterly, on literature's encounters with Christian thought and history. The journal presupposes no particular theological orientation but respects an orthodox understanding of Christianity as a historically defined faith. It is published by Sage and currently is edited by Mark Eaton, Matthew Smith, and Caleb Spencer, faculty at Azusa Pacific University. Moeller, Charles. Littérature du XXe Siècle et Christianisme. Casterman: Paris/Tournai, 6 vols., 1953–1993. This page was last edited on 24 February 2019, at 10:37 (UTC).